Print it out. Hang it up. Check it off. 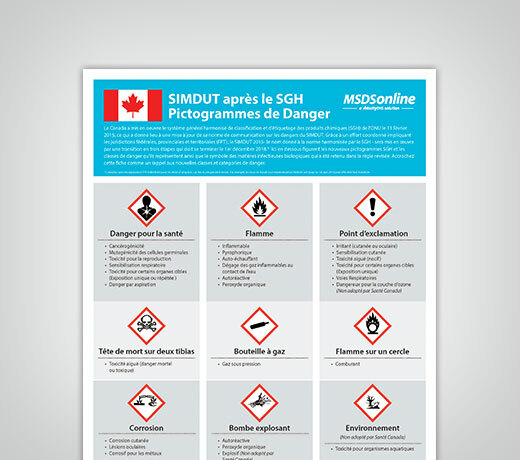 Our French language Canadian GHS Pictogram Poster outlines the 9 GHS Health, Physical and Environmental Hazard Pictograms employees and employers should be familiar with, as well as the Biohazardous Infectious Materials classification which is expected to be retained. The corresponding hazard categories expected post adoption are listed with each image.